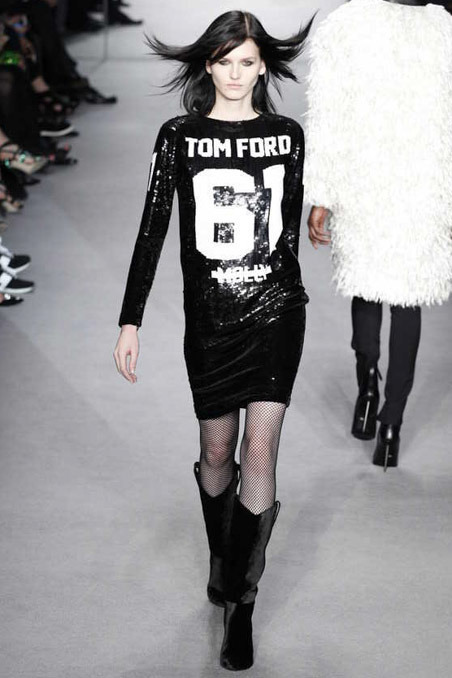 Tom Ford sequined sports jersey dress: an architecture of words that has rocked my fashion foundation. Is he playing with us? 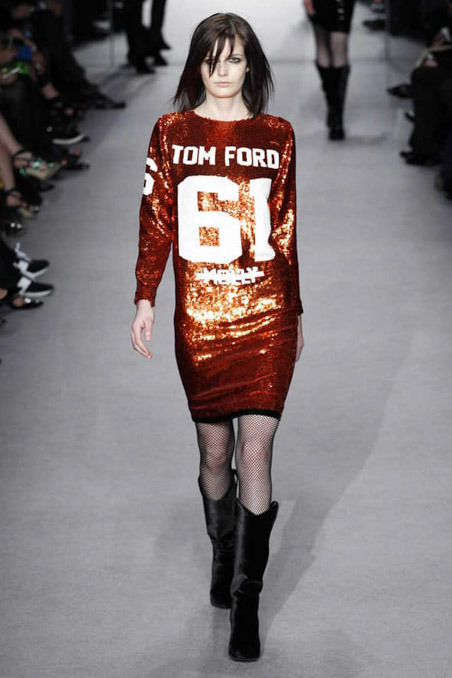 This one hit me even harder than last fall’s Ka-power Dressing. Images: Top from Us Weekly, remaining from Vogue.com.